Alsace has many beautiful corners. From paths through the vineyards, to charming little villages, to the big cities, there is so much to discover. Today I will talk about Colmar. Colmar was probably first mentioned in 823. Since 1226 Colmar is a city. Today it is the third largest in Alsace and capital of the Haut-Rhin department in the Grand Est region. These old buildings can be admired within the city walls, around the Saint-Martin cathedral. The Rue Turenne is a must-see on the way through little Venice. In this picturesque district, no house looks like the other and that has a simple reason. At that time there were no house numbers and the people oriented themselves on the colors of the half-timbered houses. Now you pass the market hall. Inside, there is still the market, which, once a week, is extended by outer stalls. The market hall was perfectly accessible from three streets, as well as from the Lach. 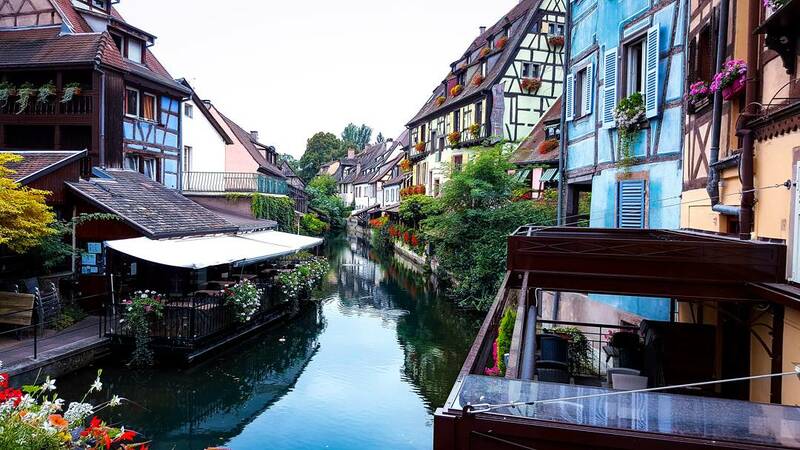 In the „City of Art“, as Colmar is also called, you will find the charm that you are expecting from Alsace. For culture lovers the city offers enough museums. I recommend everyone to make their own personal „Colmar Plan“, because some places are sometimes overcrowded by tourists. But still there are always a few surprises to discover. However, if you get to the outskirts of Colmar, you should be aware that here the Alsatian charm will not to be found. Have fun wandering the medieval streets!